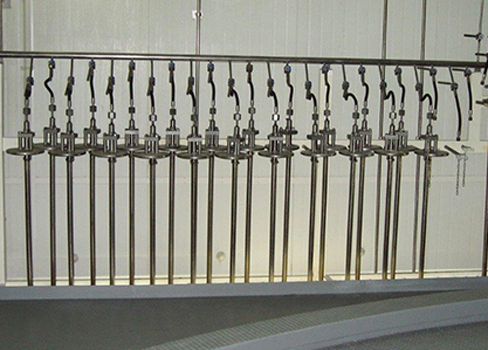 Spray Nozzle Engineering manufacture injection quills, also known as spray quench, spray bars or injection lances. 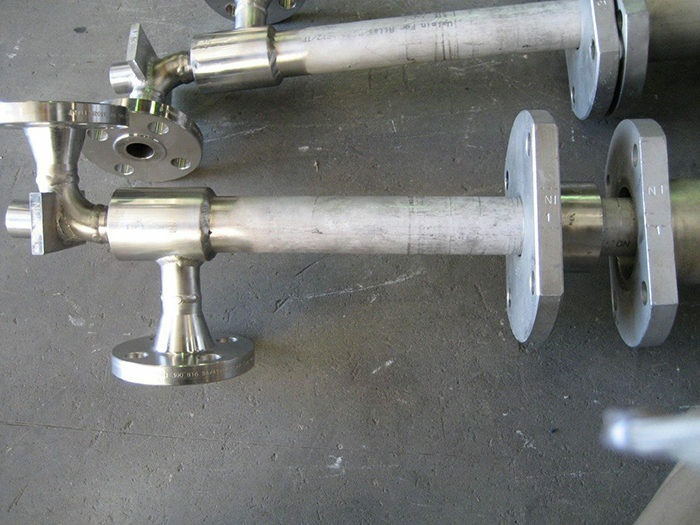 We design and supply custom made spray bars based on the type of fluid and its velocity. 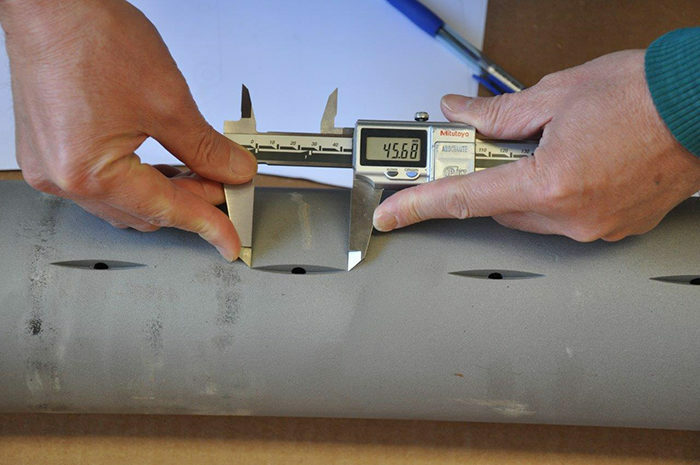 During the design process we also consider factors such as the gas pressure, inlet temperature, target temperature, inlet humidity and gas flow. We work in conjunction with a team of engineers that design solutions based on water conditions, pressure, temperature and cleanliness. 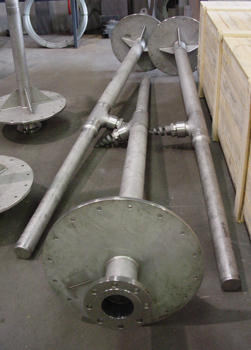 The lances are used in gas scrubbing, refineries, chemical plants, among a long list of industries. 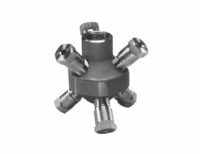 Spray Nozzle Engineering works to your requirements, from the most simple to the most complex. 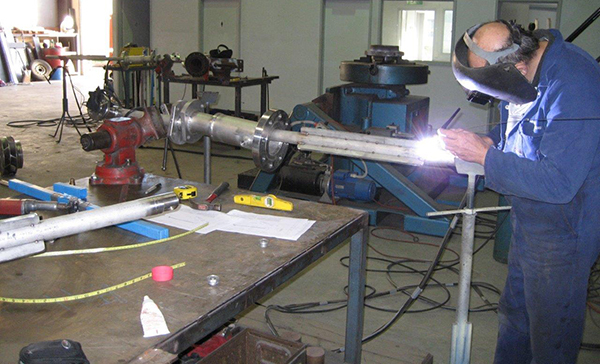 Spray Nozzle Engineering was the first nozzle manufacturer in Australasia to offer a complete design, construct and deliver service relating to process pipework solutions, complimenting their industrial spray nozzle and atomisation technology. 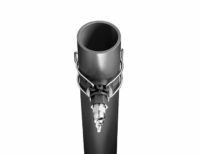 As most applications require the accompanying inlet or connection and mounting systems, Spray Nozzle Engineering is able to supply a variety of both standard and custom mounting, pipework and connection choices. 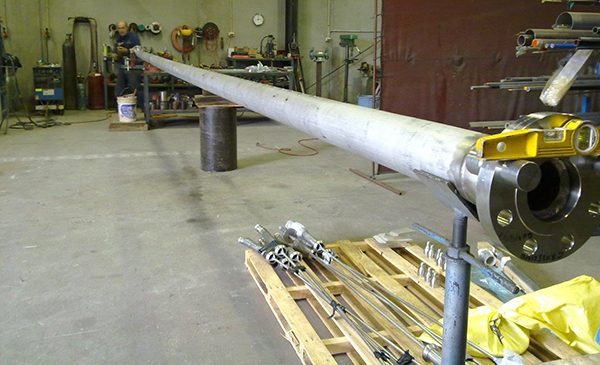 Our engineered products division has been custom designing and delivering nozzle connection and pipework-lance systems for process Industries for over 30 years. 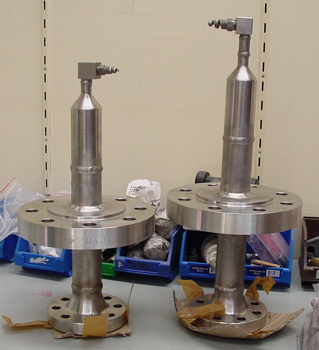 With there earlier work in both the petrochemical and pollution control industries, the ability to offer ancillary and associated feed pipe spray lance technology that both fed and fixed the nozzle in place within the process, vessel or application; has made Spray Nozzle Engineering the one stop source for complete spraying solutions. 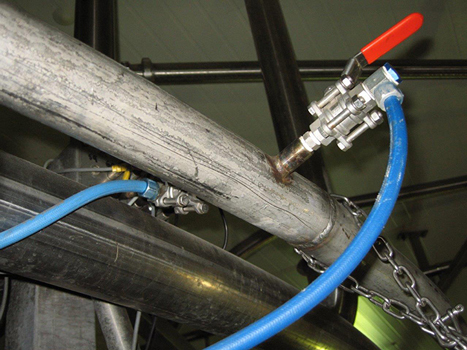 If it’s fluids or a mixture of fluid and air or steam that you wish to atomise, the company has an engineered spraying solution to meet your specific needs. Spray Nozzle Engineering manufactures and supplies inline or concentric spray lance pipe systems, designed to operate at all pressures, at specified temperature and chemical environments, or with the ability to be retracted during process such as retractable lance systems with “stuffing box” arrangements. 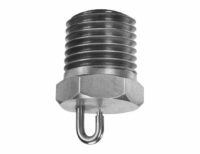 Whether threaded, welded, flanged or with optional no thread duro-lok attachment technology, Spray Nozzle Engineering provides a solution in any material from PTFE, to stainless, high temp alloys, silicon and hastelloy. 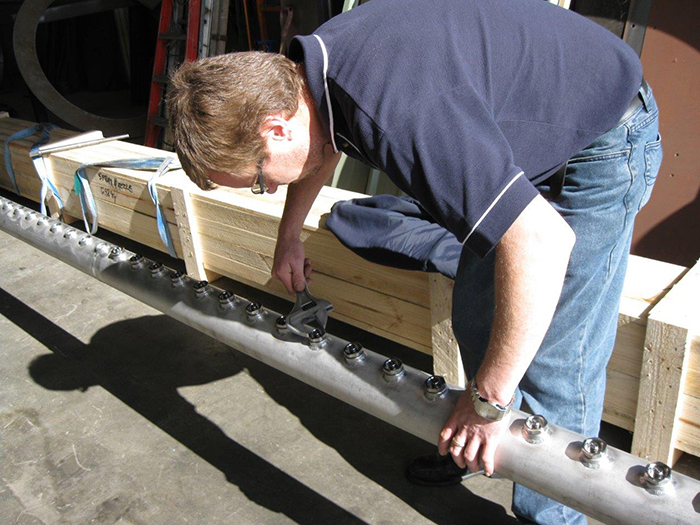 Find out more about our in-house engineering design team. 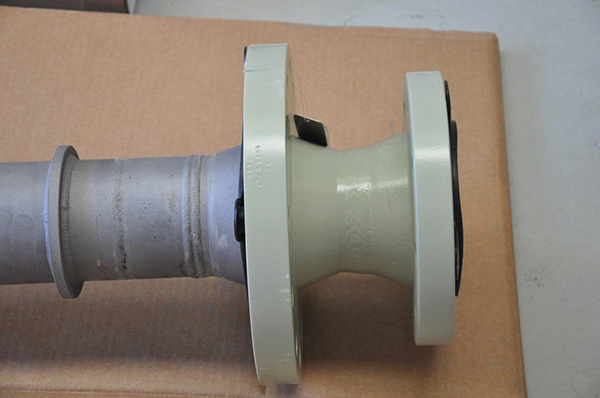 Spray Nozzle Engineering offers a custom blowing solution with compressed air blowing nozzles and air knives. 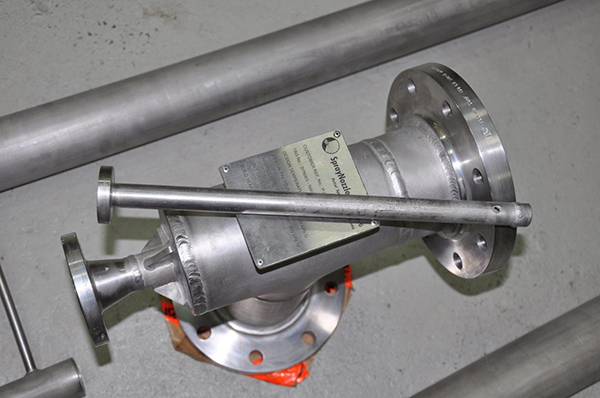 With custom spray manifolds in any size or configuration for applications as diverse as packaging, to steel mills, paper mills, water treatment just to name a few. 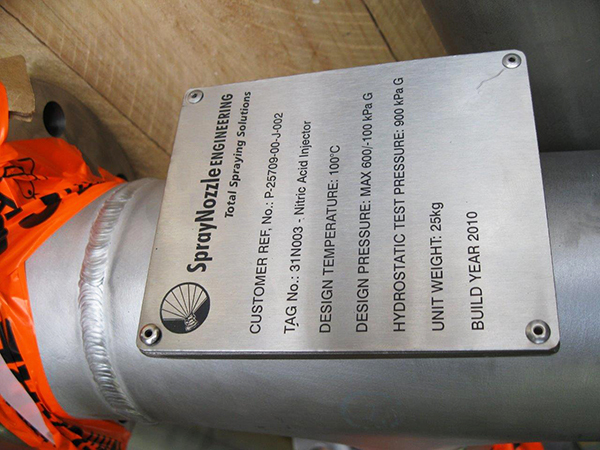 Working to high standards to both petrochemical and ASME pipework code standards, Spray Nozzle Engineering has been at the forefront of fit for purpose designs, NDT and pressure pipe engineering for Spray Nozzles since 1988. 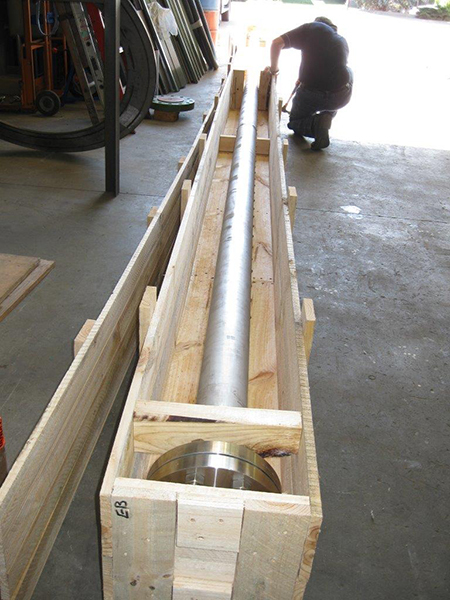 Whether it be ASME B31 or any other code, please talk to us about your needs, and chances are we have done it before. 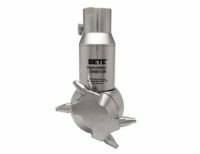 With industry experience and knowledge and an understanding of not only how our Spray Nozzles are used, but more importantly how you need to insert or remove them from your process during down time and with ease of maintenance in mind; our experience extends to the manufacture of everything from entry level and kit form spray bars for mining applications, to project engineered injection quills, also known as spray quench, spray bars or injection lances. 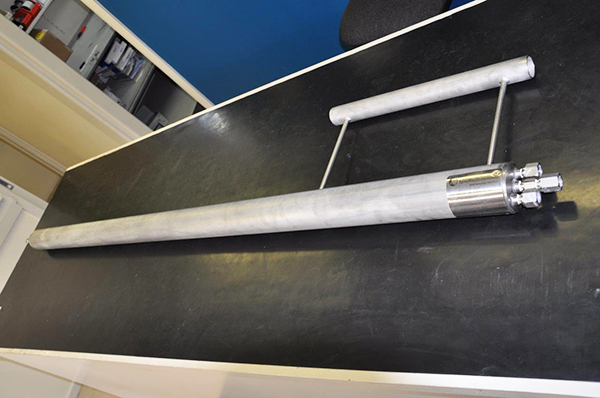 Working closely with the client or designers, our team can design and supply custom made spray bars based on the type of fluid and its velocity. 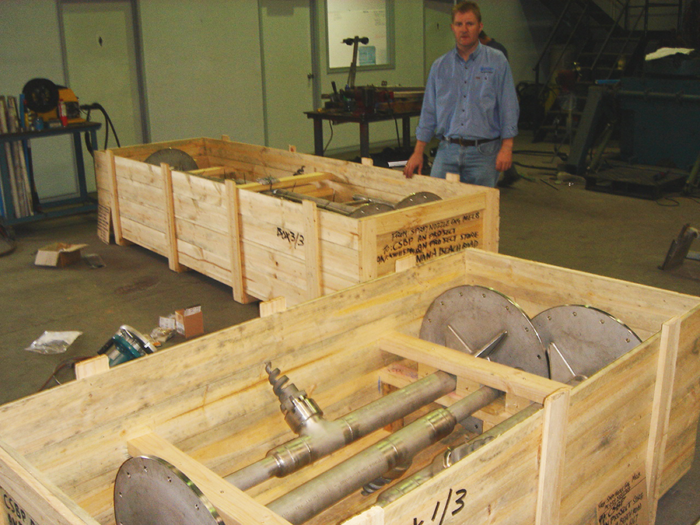 During the design process we consider factors such as the gas pressure, inlet temperature, target temperature, inlet humidity and gas flow. We work in conjunction with a team of engineers that design solutions based on water conditions, pressure, temperature and cleanliness. 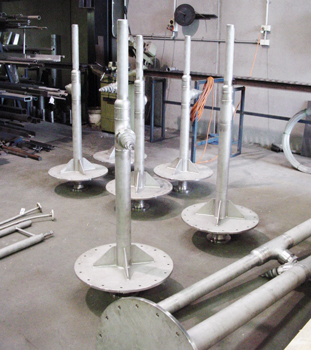 The lances are used in gas scrubbing, refineries, chemical plants, among a long list of industries. 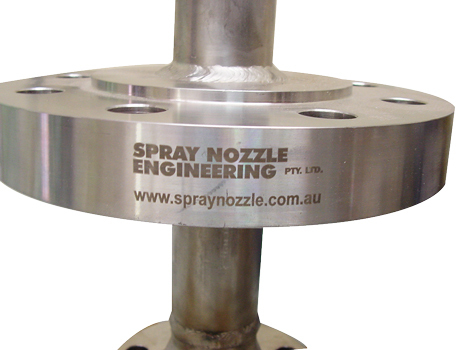 Spray Nozzle Engineering works to your requirements, from the most simple to the most complex. 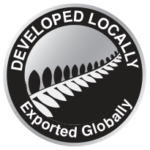 Find out more about our engineering solutions.